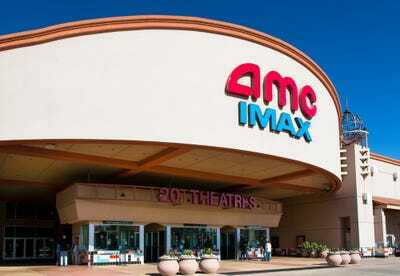 AMC Theatres announced on Thursday that it now has 260,000 members in its AMC Stubs A-List movie-ticket subscription service. That makes up 4% of the chain’s US attendance. As MoviePass tries desperately to scale back so only the “occasional moviegoer” will be attracted to the service, AMC Theatres continues to grab more willing takers for its own subscription program. AMC, the largest movie chain in the world, announced on Thursday that its movie-ticket subscription service, AMC Stubs A-List, now has more than 260,000 members in the seven weeks since its launch. AMC said that made up 4% of the chain’s US attendance. The company also noted that A-List had been responsible for more than 1 million in attendance at its movie theatres since launch. MoviePass has certainly proven that moviegoers love a subscription model. But it’s hard to tell if it will be around long enough to reap the rewards. It was revealed earlier this week in the quarterly filing of its parent company, Helios and Matheson Analytics, that the compay had burned more than $US219 million in the first six months of the year, $US150.8 million of that in the second quarter. And in the hopes to slow down the burn, MoviePass on Thursday revealed that, for the time being, it will only offer up to six movies daily for its subscribers to go see. That’s in addition to capping subscribers at three movies per month (AMC offers three per week).